Cut and come again bright pink zinnias stand 3 feet tall. 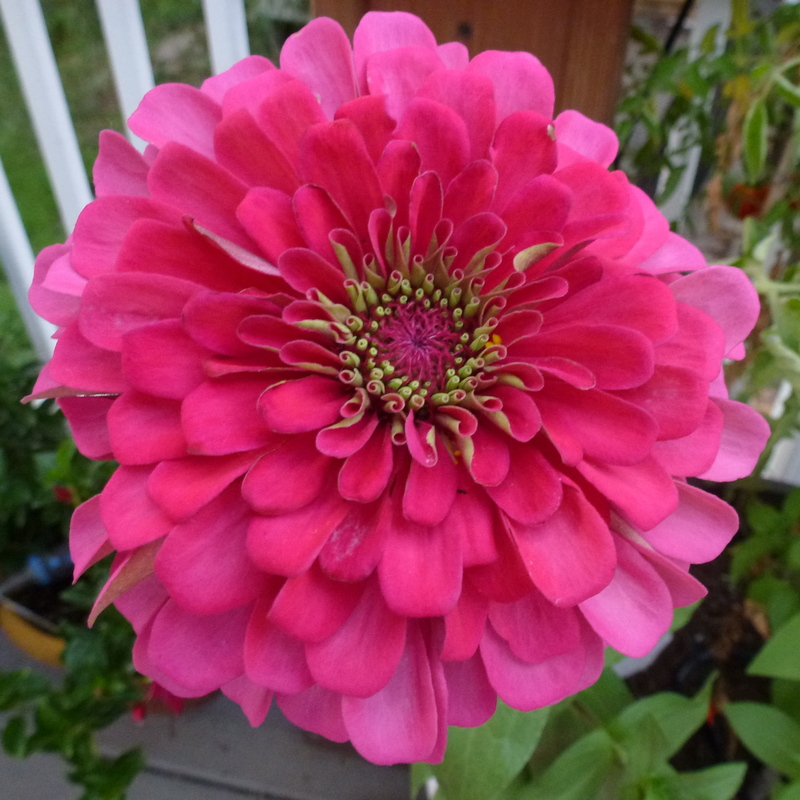 With vivid colors and long stems, theses zinnia make excellet bouquets lasting for a week or more. Lots of ruffled lettuce leaves which held up longer in the spring than most lettuce. 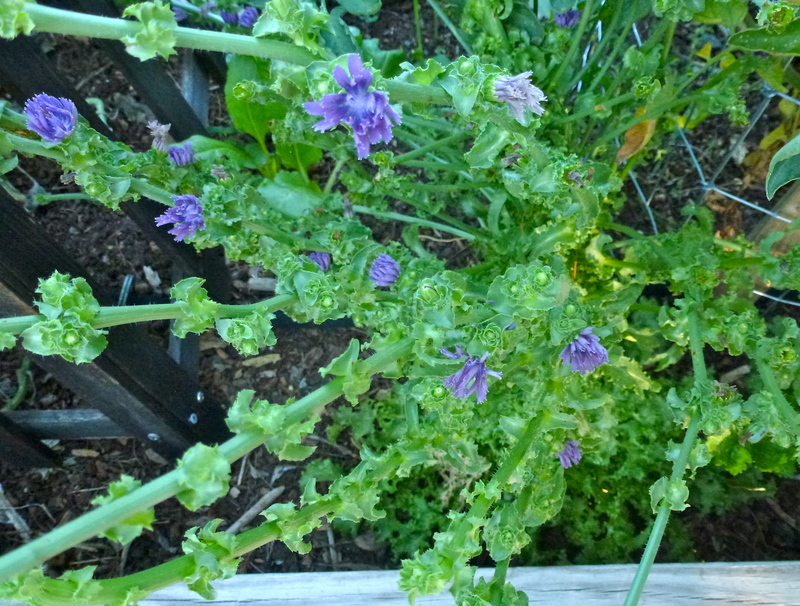 When lettuce bolted, these lovely lavender flowers will soon produce seed. The bright green lettuce was in a mesclun mix. I do not know what it is. Or, I would buy more. I let it go to seed and it’s bloom those lovely lavender flowers. 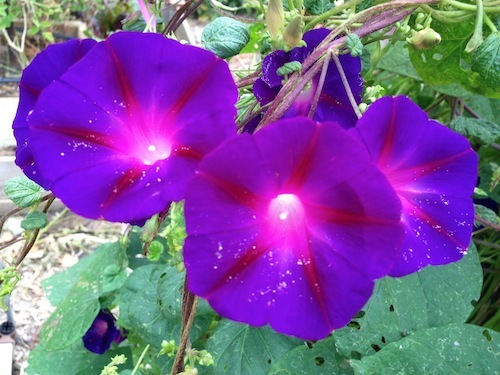 Anyway, I hope to gather a few seed in a couple of weeks. Senorita Blanca™ Spider Flower Cleome hybrid. 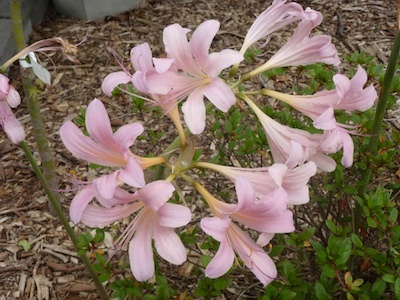 The cleome is a great flower to show off and contrast with vivid colors. 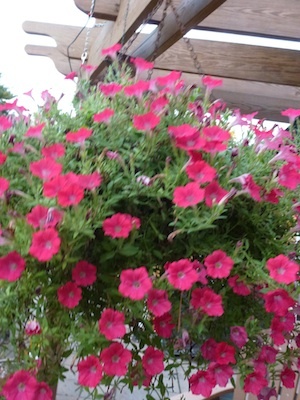 Supertunia® Watermelon Charm has been a hummingbird magnet this year. It’s self cleaning and easy care. 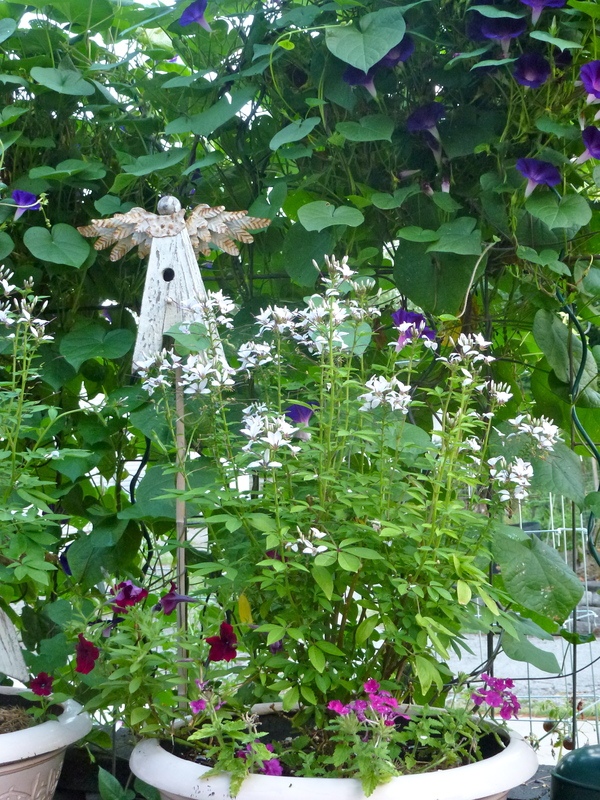 The Senorita Blanca™ Spider Flower Cleome hybrid and Supertunia® Watermelon Charm are trial plants from Proven Winners and will be available next spring (2013). 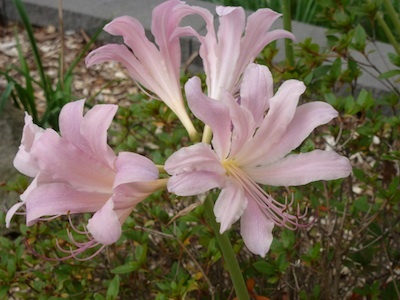 Lycoris squamigera’s (resurrection lily) sudden late summer appearance is reflected in its common names: surprise lily, magic lily, and resurrection lily. Our Host Carol always has a beautiful site. Vegetable garden report. August 15, 2012. 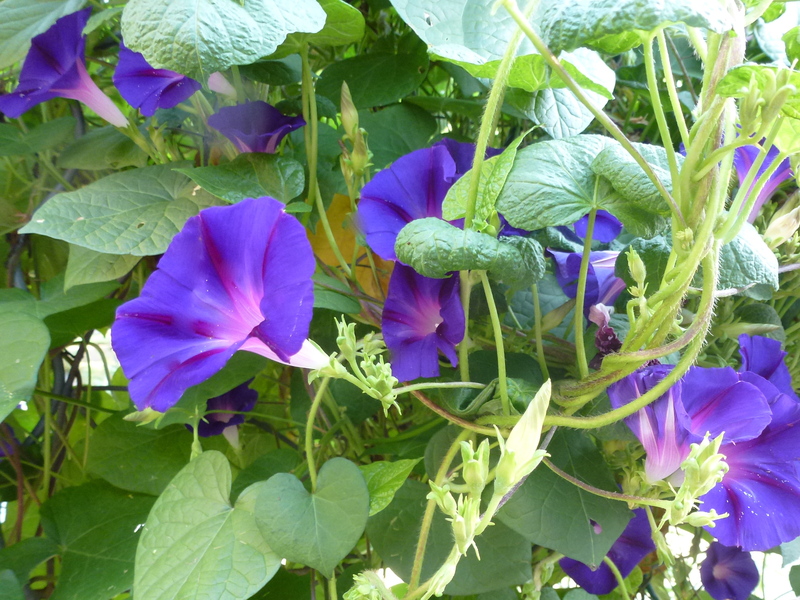 The drought has shown no mercy on the vegetable and herb gardens. Then heat wave and drought broke. We got some rain, so the peppers and tomatoes are productive again. With the deluge of tomatoes, I made small batches of salsa and all my favorite tomato dishes. What did come out of the garden became spendid dishes like gazpacho, tabbouleh, bruschetta, canned salsa and the following baked egg in a tomato cup. 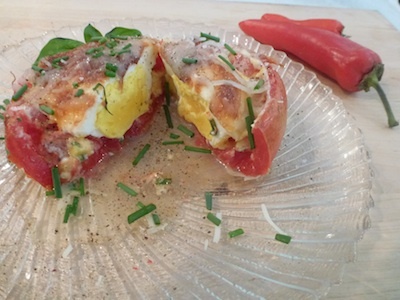 I found this baked egg in a tomato on Pinterest. My version, of course, has herbs. Chives, basil, chervil. The original baked egg recipe is on Pinterest. I loaded my tomato with extra cheese, herbs or real bacon bits. Then, I made Heirloom Tomato Quiche. This easy quiche was very good. The recipe is on my Hub Pages. 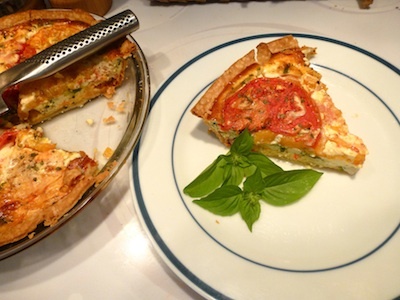 Next time you make BLTs, cook a little extra bacon to go in this quiche if you like. All ratatouille ingredients are home grown. The recipe for this French vegetable medly is on my Hub Pages. 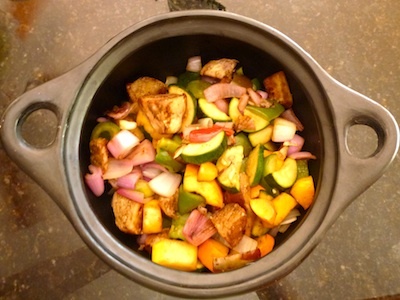 Ratatouille is my gardens signature dish. 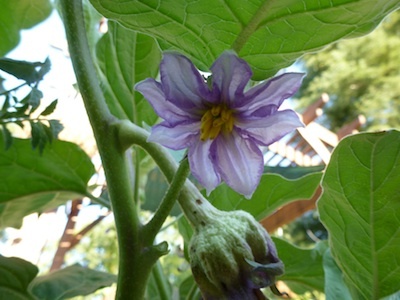 Eggplant, peppers, squash, tomatoes, onion, garlic and herbs all come from my garden. I’m sowing some chervil, chilantro, a bit of arugula and lettuce, looking forward to cooler days.